On the surface, the Lift & Co. Cannabis Expo looks like your average business conference. 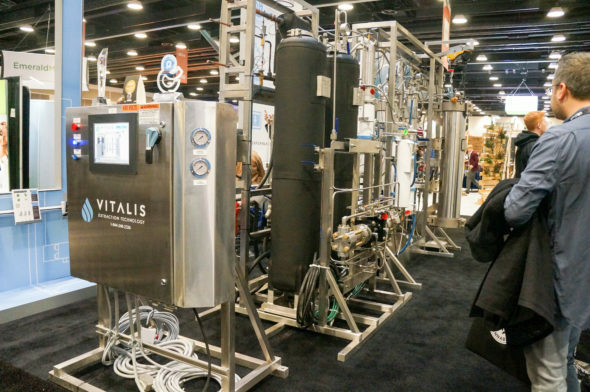 For the vendors, many of whom wear lab coats and stand next to large, important looking metal contraptions, it’s simply an opportunity to network and do business. That business, however, involves getting Canadians medicated and—post-legalization—getting them recreationally high. The expo offers more than 200 vendors as well as live speakers on multiple stages throughout the Vancouver Convention Centre. There’s no shortage of interesting information to check out, and most of the vendors are there to showcase a multitude of innovations to the cannabis industry, including changes to how Canadians cultivate, market, analize, and—yes—consume the crop. One appliance being showcased at the expo was the LEVO, which lets users infuse their own cannabis oil and was recently named the “Kitchen Aid of Cannabis” by Forbes Magazine. No two booths look the same; some have hanging signs above their booths or smoke billowing from the top of their displays to grab your attention. Every second booth is decked out with comfy couches or beanbag chairs to let attendees hang out on, enjoy the space, and maybe hit the vape. Alcohol is also conveniently served at all corners of the convention. Legalization has opened the door for many investors to make money in the cannabis industry. Vendors joke that competition between companies has grown, but there’s still opportunity for individuals to profit in the industry if they can set themselves apart from the rest. 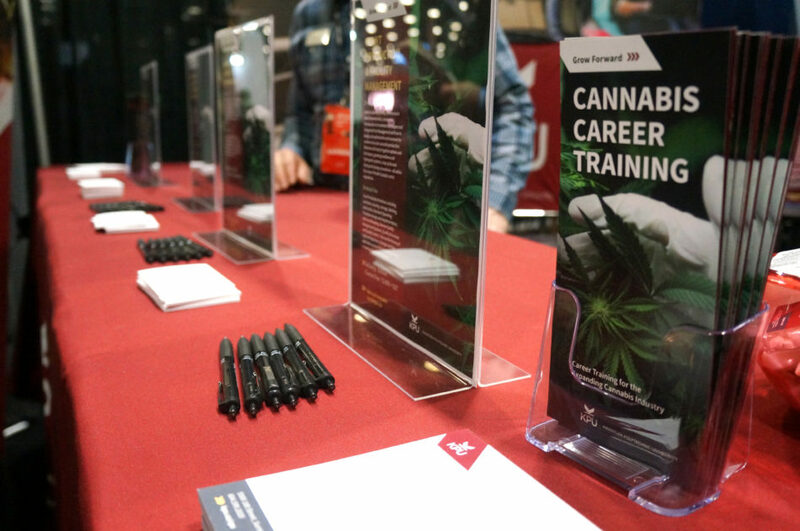 Kwantlen Polytechnic University had its own booth facing the main stage at the expo to promote its Cannabis Professional Series. Graduates of the program will have a leg-up when entering the cannabis job market, which is rapidly expanding in terms of reach and job prospects. The university is also marketing courses to people who may currently work in the cannabis industry and want to hone their skills. Inside the convention centre, you won’t see any vendors offering products containing THC or CBD, though a few savvy stoners took the opportunity to profit off the expo by setting up a table outside the centre selling everything from dry cannabis to concentrated cannabis and cannabis edibles. 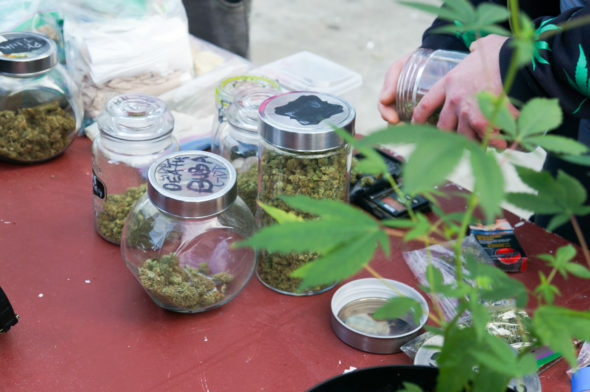 Distributing and selling cannabis in this form is not entirely legal, but that didn’t stop some attendees from passing around a blunt in the smoke pit before making use of the convention centre’s food court for some butter chicken.. The Lift & Co. Cannabis Expo demonstrated just a few of the many ways to get involved and profit from the quickly growing cannabis industry. Whether your interest is in science, technology, agriculture, marketing, or business management, there’s something at the cannabis expo for almost everyone to enjoy.